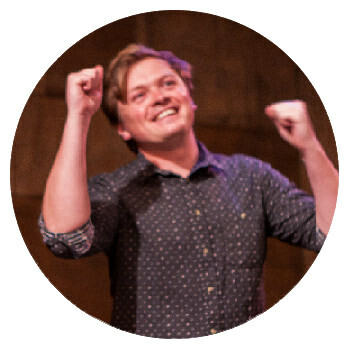 Matthew is an experienced theatre director, producer, devisor, dramaturg and improviser. As well as co-director of The Wardrobe Theatre since 2011, he is a regular performer with Closer Each Day Company (the improvised theatre company that perform the world’s longest improvised narrative and produce the annual Bristol Improv Marathon) and a member of fooling/clowning theatre company Beyond The Ridiculous. Recent work includes working on all The Wardrobe Theatre’s alternative comedy Christmas shows (including co-directing Reservoir Mogs and other roles on Rocky Shock Horror, Goldilock, Stock & Three Smoking Bears and Muppits Die Hard) as well as creating work with The Wardrobe Ensemble, Sharp Teeth Theatre, Open Attic Company, The Smoking Puppet Cabaret, Verity Standen and Fellswoop Theatre. Jesse is a performer and theatre-maker based in Bristol as well as co-director and co-founder of both The Wardrobe Theatre and The Wardrobe Ensemble. She graduated from University of Warwick with a BA First Class Honours in Theatre & Performance and has since been working extensively with FellSwoop Theatre and The Wardrobe Ensemble – both of which she has toured with nationally and internationally. Jesse’s other recent deviser/performer credits include Tea Time for Oxford Playhouse, and Winnie The Witch for Pegasus Theatre, Oxford. 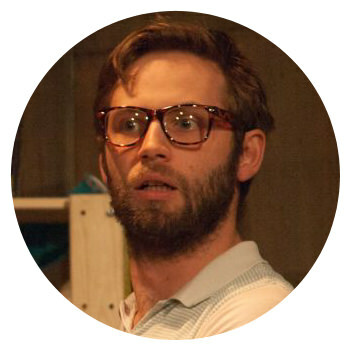 Chris is a stage manager, director, devisor and improviser. He studied theatre amongst the cow patted fields of Dartington College of Arts graduating in 2007. He works with many Bristol-based companies including Kid Carpet, Pickled Image, Fellswoop Theatre, Insane Root and Mufti Games as well as being co-directer, co-founder and technical manager of The Wardrobe Theatre since 2011.  Bebhinn has worked with The Burlington Magazine, Rough Magic Theatre Company and Dublin Theatre Festival among other arts organisations and registered charities. She’s currently studying for a diploma in accountancy, and works with us part-time. She thinks The Wardrobe Theatre is the best venue in the city. 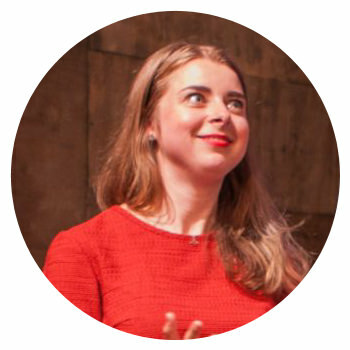 Stephanie is a director, performer, theatre marketer, workshop leader and a writer. She most recently directed Eclipse for Alice Nicholas and Pulling Out for Documental Theatre. She runs Sharp Teeth Theatre who curate the monthly night ‘Sharp Teeth Presents’ at The Wardrobe Theatre and also at Theatre503. 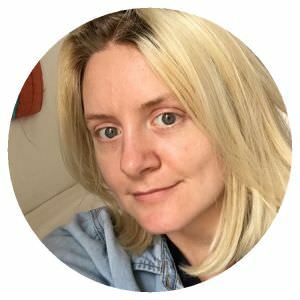 She has worked with Bristol Old Vic, Creative Youth Network, Beyond the Ridiculous, Hauser & Wirth, Mayfest, Tobacco Factory Theatres, Mercurial Wrestler, Part Exchange Company, Brave Bold Drama, Open Attic Company and more. She was the first recipient of JMK’s Regional Bursary for Assistant Directors on Bristol Old Vic’s Jane Eyre in 2014. She is marketing officer for The Wardrobe Theatre for one day a week. 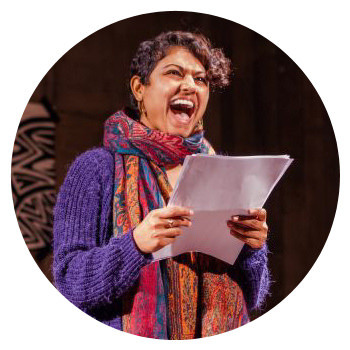 Aisha is a singing, storytelling, wild swimming linguist. She’s collected stories and revelled in languages since she was wee and can often be found knee deep in both. The Wardrobe Theatre is her second home and she really enjoys looking after our many wonderful volunteers so that the theatre runs smoothly. Aisha Ali, Eric Bakker, Nick Benson, Chris Bianchi, Tessa Bide, LD Bishop, Simon Bishop, Adam Blake, Rev. Nev Boundy, Helen K Bradley, Wendy Brandl, Harriet Brennan, James Brennan, Brick Door Theatre Company, Bristol Pride Festival, Elliot Brooks, Becky Brunning, Paula Cannings, Roberta Carradine, Tamsin Clarke, Sally Collister, Shosh Copley, James Coveney, Jerry Cowhig, Joan Cox, Kirsty Cox, Brian Coyle, Charlotte Crofts, Richard Cronin, Lara & Alex Davis, Anna Demming, Jenny & Janie Digby-Lee, Lisa Drake, Lily Drewry, Jenny Etches, Will Ferris, Bella Fortune, Sophie Freeman, Susie Fugle, Adam Fuller, The G1s, Amanda Gardham, Maximilian Gavin-Ellis, Deborah & Honey George, Theo Giann, Giannokpaul, Jean Goubert & Jannah Warlow, Grandparents Grant, Marcus Grant, Genevieve Hall, Jacqueline Ham, Debbie Hard, Claire Harding, Meryt & Peter Harding, Valerie & Alan Harding, Jonathan & Claire Harper, Robert Havard, Geraldine Hill-Male, HUF, Simon Inch, Randal Jack, Josephine Joy, Jody Kamali, Katina, Emma Keaveney-Roys, Andrew Kelly, Ann & Mike Kelly, Stephanie Kempson, Jason King, Alison Kingston, Marietta Kirkbride, Lauren Kriwald, Esther Lawrence, Matthew Lister, Maureen Lennon, Bertrand Lesca, Rachel Linley-Shaw, Slavka Liskova, David Lockwood, Emma London, Eva Manning-Davies, Adrian Mantle, Zoe McAden, Martin McDonaugh, Ian & Sue McKay, Kate McStraw, Matthew Meadows, Nancy Medina, Vicky Miller, Jude Merrill, The Middletons, Andy Mullett, Dr Philip J Naylor, Wendy Newton, Simon Panrucker, Martin Potts, Joseph & Hazel R, Claire Rhodes, Elizabeth Roberts , Ali Robertson, Steve Roser, Ruth & Guy, Jack Sanderson-Thwaite, Anna Scott, Harry Sedman, Emma Shaw, Christina Shewell, Silly Boys, Hannah Smith, Emilio Soldani, Chris Speller, Holly Stone , Substance & Shadow Theatre, Christopher Swain, Ben Tansey, Gwen Thomspon, Rob Thumpston, Alistair Todd, Travelling Light Theatre, Univeristy of The West of England, Sam Valentine, Vicky & Marcus, Ed Viney, Ruth Wallace, Rod Wassall, Andrew Waterer, Chloe Whipple, Peter Whittle, Katy Wilkes, Yvonne Wilkin, Heather Williams, Rachel York, and Johanna Ziegler. Chris Askew, Anita Assadullah, John Bradley, Tom Brennan, Rachel Buchanan, Jim Brown, Lori Campbell, Megan Clark-Bagnell, Hazel Collier, Steve Collier, Liesel Corp, Jay Costello, Miranda Cromwell, Andrew Cross, Rosemary Cross, Simon Day, Lottie Donovan, Jack Drewry, Ann Finch, Adam Fuller, Arthur Girling, Laurie Girling, Madeleine Girling, Ben Goodman, Marcus Grant, Matt Graham, Emily Greenslade, Russell Hancock, Anna Harpin, Paul Harrison, Ellen Havard, Steve Hawes, Felix Hayes, Andy Hazell, Margaret Hickman, Harry Humberstone, Simon Inch, Rachel Isaacs, Jesse Jones, Emma Keaveney-Roys, Katie Keeler, Andy Kelly, Hal Kelly, Stephanie Kempson, James Kent, Jason King, Andrew Kingston, Alice Lamb, Matthew Lister, David Lockwood, Josh Lucas, Vicky Meadows, Meghan McKay, James Newton, Jack Offord, Natalie Parsons, Ed Patrick, Darren Perry, Holly Pigott, Lewis Prescott, Dave Ravenscroft, Ali Robertson, Ruby Spencer, Laurie Stansfield, Philippa Thomas, Rob Thumpston, Marion, Tucker, Mark Tucker, Sean Warman, Owen Wassell, Ellen Wilkinson, Harvey Williams, Bob Yates-Tily and all those who contributed during our fundraising events. Tom Brennan, Harriet de Winton, Emily Greenslade, James Newton and all at The White Bear and Tobacco Factory Theatres.